“In the beginning farmers are asked to associate with us only with one acre cultivation continuing their usual agricultural practice of using chemical based farming inputs. Later if they find it gainful they can increase their acreage and even adopt chemical free farming. We inform them about our contract farming norms and never persuade them to grow for us on buy-back guarantee. 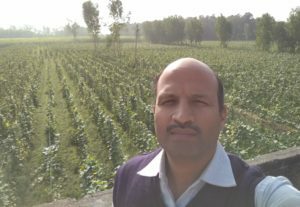 Nonetheless as our farming model is simple and transparent farmers in our network are increasing steadily,” says Mr. Sachin Kale, Founder, Innovative Agrilife Solutions. 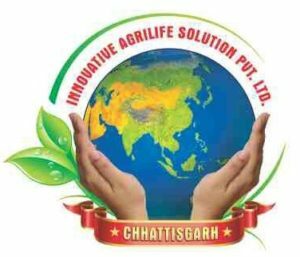 Organization was established in 2016 at Medhpar village, Bilaspur district, Chattisgarh. There are 167 farmers associated with them till date. The total farming acreage under contract farming is 300 acre. The first model is conventional (using chemical inputs) farming model in which two basmati paddy varieties are cultivated known as HFT and Vishnu Bhog. After harvesting paddy seasonal vegetables are grown. Few to name are bottle gourd, brinjal, tomatoes, ridge gourd, beans etc. “We also grow spinach and coriander in this model. Except potato and onion we try to grow all the vegetables. We consciously grow seasonal vegetables because it sells easily as the demand exists and entire produce is sold the same day as it is harvested,” Mr. Kale explains. In the second model June – December desi rice variety ‘Dubraj’ is grown followed by peas or maize. It is 100% chemical free farming model. 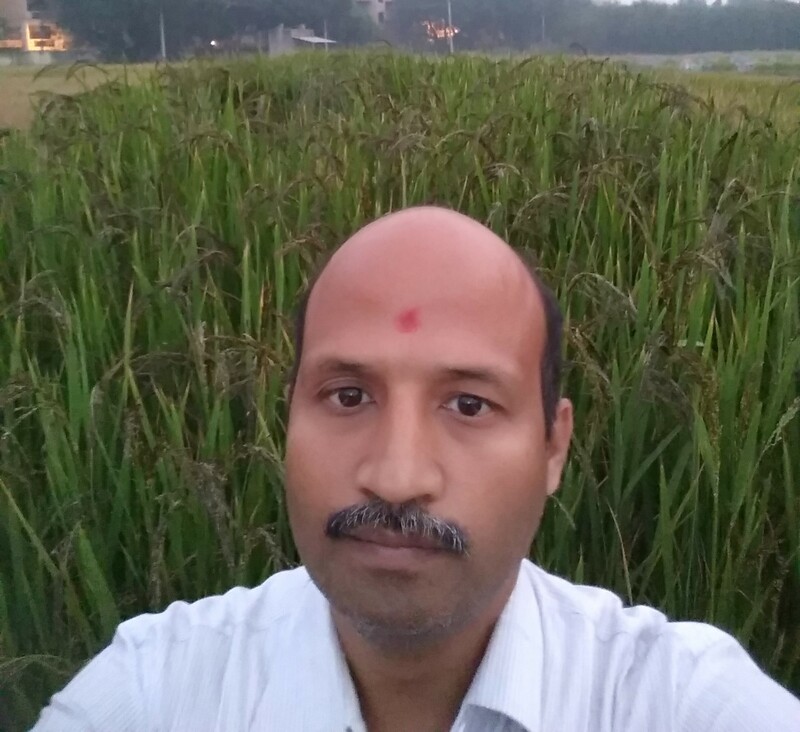 “After harvesting Dubraj paddy, we grow peas as it fixes nitrogen in the soil, again Dubraj paddy and then later maize is cultivated to fix the potassium content in the soil. These three crops in two years cycle strike the nutrient balance in the soil and have been standardized. Our contract farmers are asked to follow it stringently,” he says. Dubraj rice is one of the oldest rice varieties grown in Chattishgarh region. It is 150 days old crop, grown organically and is rich in medicinal properties. It is premium quality rice sold at price above Rs. 100/kg. “The demand of Dubraj rice is exceptionally high even when we sell it at premium price! We sell the entire produce in Chattisgarh itself, no need for looking for market out of the state. We have blocked the sales order till 2018. This implies the rice is sold even before it is grown! When farmers gain substantial confidence they try to shift to this model and slowly we turn their farmland 100% chemical free. Besides sale of Dubraj rice is one of the examples to showcase the prospects farming profession has in India if done with sincerity and dedication,” asserts Mr. Kale. Mr. Kale left his lucrative job with Punj Lloyd and lavish life at Gurgaon to become farmer! “After years of working in corporate world in the cities that are stressed with pollution and no-open space I thought of working for self, close to the family and far away from the robotic life. Secondly food industry is very important but neglected completely and farmers are struggling at every step. Thus on experimental basis I decided get into farming and make a difference,” he shares. It all started in June 2014 on 25 acre ancestral farmland with soil and water testing. The first crop was a complete loss as Mr. Kale didn’t had any experience and knowledge of crop cultivation. “However later with the assistance of my grandfather I got the breakthrough in farming and started making profits. After the success of the second crop there is no looking back! Now our own farming acreage has been increased to 67 acre.” Later to help farmers prosper he started contract farming. Future plans at Innovative Agrilife Solutions are to set up a complete chain where they would provide their farmers with in-house produced seeds and bio-farming solutions. “We have already started working on production technology for seed and bio-farming solutions. Secondly as organic food market is growing rapidly we are working to tap it by reaching more number of people by setting up the shop. It is in process and shall be launched soon,” he reveals. Based on his on-field farming experience Mr. Kale insists farmers to work on TAB terminology. T stands for technology, A for awareness and B for bank. “We farmers have to use the technology to raise our awareness that ultimately increases our bank balance. Technology is available and we have to use it to best of our advantage then farming will always be profitable,” he signs off.